In the market of preclinical trials the Group of Research Institutes is presented by St. Petersburg institute of pharmacy, Institute of experimental pharmacology, Institute of preclinical studies, “RMC “HOME OF PHARMACY”. “RMC “HOME OF PHARMACY” certified by Certification Association “Russian Register” for compliance with the requirements of GOST 33044-2014 “Principles of Good Laboratory Practice (GLP) in respect of pre-clinical studies of general and specific types of toxicity, research and development of new medicines. “RMC “HOME OF PHARMACY” has veterinary certificate number 247 0008843 to the keeping and breeding of laboratory animals. Institute of Preclinical Studies is certified by the Russian Register Certification Association for compliance with the requirements of GOST 33044-2014 “Principles of Good Laboratory Practice (GLP) for conducting preclinical studies of general and specific types of toxicity, microbiological research, biological evaluation of pharmaceuticals, on microbiological evaluation of cosmetic products, food and feed for animals, environmental factors and objects, industrial facilities, and dely health and to assess the antimicrobial activity of pharmaceutical and veterinary preparations. Institute for Preclinical Research has a veterinary certificate 247 No. 0009497 for keeping and breeding laboratory animals. The group conducts preclinical studies of pharmaceuticals, specialized food, biologically active additives, and cosmetic production for russian and foreign companies according to the requirements of russian and international law. In 1991 based on the department of biochemistry of St.-Petersburg I.I. 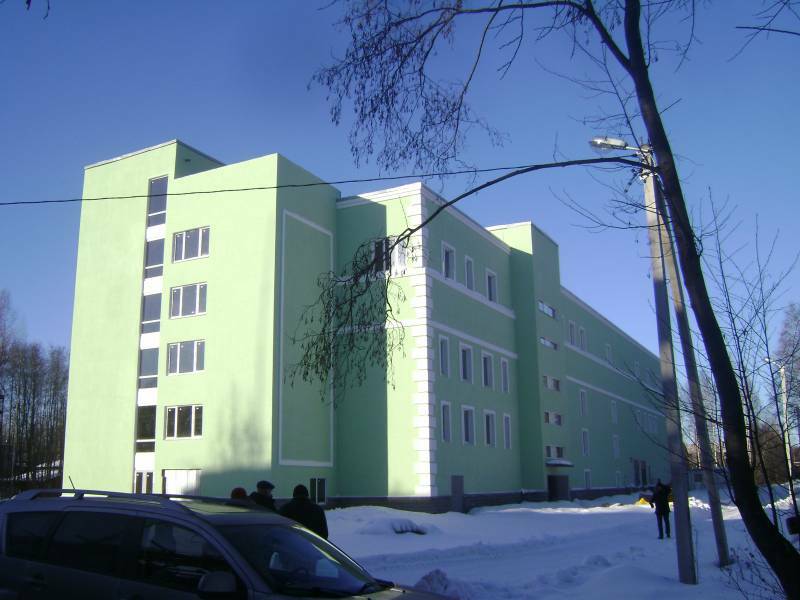 Mechnikov Medical Academy the Interregional center “Adaptogen” was established. The center engaged in chemical analysis, development of standard documentation on medicines and technology of medicines. Since 1997 the Interregional center “Adaptogen” started holding an annual international conference named “Phytofarm”. 2007 –The St. Petersburg Institute of Pharmacy was established. 2010 – “RMC “HOME OF PHARMACY” was established and began to built its own building. 2011 – “Institute of experimental pharmacology” was formed. 2014 – “Institute preclinical research” was formed. Four organizations were united in a group of research institutes. Honor of our company is a friendly team of scientists, our “scientific potential” that can cope with any complex challenge. In total the company employs 60 scientists and researchers including five Doctors of science (Professors) and 19 PhD scientists. Team members of the research organizations group created numerous patents and publications. Leading experts regularly increase their professional knowledge by training in the following directions: quality management according to the requirements of ISO 9001:2015; production and performance of preclinical trials of pharmaceuticals according to the international standards; obtaining appropriate certificates including international. Our modern laboratories are equipped according to the international standard, with hi-tech equipment and have all necessary resources providing high reliability of studies. Control over the quality of service, maintenance and use of animals in vivarium is carried out according to the rules and bioethical requirements of the commission for the control of animal care and use. The results obtained are verified by the quality service according to the requirements of GLP. The most important thing for any research work is to obtain objective and reliable data that can be reproduced in repeated tests anywhere in the world. This can be achieved only if all conditions and analysis materials are standart. To achieve this goal more than 700 SOPs (standard operating procedures) and 130 standard study plans were developed and approved. One of our priorities is to develop new pharmaceuticals for prevention and treatment of socially significant diseases. Customer focus is a guarantee of our success. We attentively consider our customers opinion and develop the optimum decisions favorable to their business. We consider all Customer wishes when developing plans of preclinical studies. Quality of the stuidies carried-out is our primary goal. We strive to establish long-term partnership on mutually advantageous conditions with each Customer. We are committed to providing a work environment that attracts talented people and help them in their full potential. The research organizations group is your reliable guide in the field of drug development and preclinical studies. Holding the experiments associated with animal use the group of research institutes addresses to the general bioethical commission (BEC, the commission for control of laboratory animal care and use) formed by independent competent people. All studies are controlled by the uniform quality service independent of the personnel engaged in research. Provisory service keeps registration records about receiving, expenditure, return and utilization of test and standard objects, has the equipment for check of stability of test and standard objects. Also the service is able to assess the compliance of objects to certificates or other supporting documents, has appropriate qualification and necessary equipment for sample processing of test and standard objects.